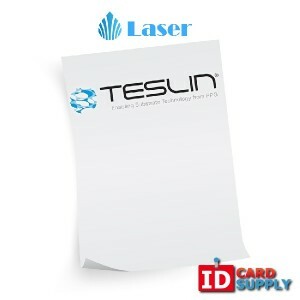 Teslin paper is a brand of high quality synthetic paper which we are proud to sell. As a synthetic paper, Teslin offers much more durability and water resistance when compared with the regular paper you might be used to using with your printer. This is what makes it highly suitable for use making ID cards but it also gives it a number of other unique advantages and applications. Read on to see some of the best things about Teslin paper. Teslin paper is a synthetic paper which means that it is largely waterproof and can withstand more punishment than regular printer paper. This is very important right from the offset because it means that you can use it for ID cards and ensure that they will stay looking high quality for a long time to come. This is very important for your branding, because the quality of your ID cards is going to reflect directly on your business. If the ID cards look tattered and old, then this will make your business appear less professional or will suggest that you don't have much attention to detail. 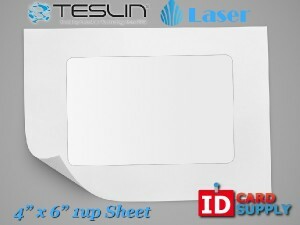 Teslin paper also benefits from being generally very high quality. This paper has an attractive sheen that also encourages ink to dry very quickly. Unlike some other paper, this means that the ink doesn't bleed out of its lines and the result is a much higher definition and crisp image. Again, this does wonders for your branding and means your business will be better represented by the paper you are using. Finally Teslin paper is simply very good to look at. It is glossy and bright white and this results in an eye catching and high contrast image that's easy to read and that makes the best impression. 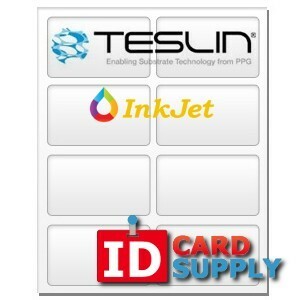 To use Teslin paper to produce your ID cards, you will first want to print onto the paper. You can do this using a laser printer or an inkjet printer that you have in your office, or using a printer that is specifically intended for printing ID cards – such as a Fargo printer. If you're struggling with the design, then check out IDcreator.com. Here you can find a vast range of templates for ID cards to suit every job role and every industry. Once you've found the one you want, you can edit the design to fit your needs and you can print as needed. 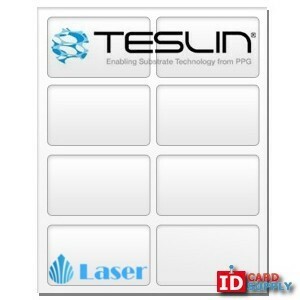 What's also handy about Teslin paper is that it comes with punch-outs. This means you can pop out numerous card-sized sheets to use easily and not have to cut them all out manually. Buy your Teslin paper here and we promise that you'll get the best rates on the web – if you can find it for lower, we'll match that price! We offer rapid, next-day delivery and have free delivery on orders over $100. What's more, you can get access to even better rates when you buy in bulk. 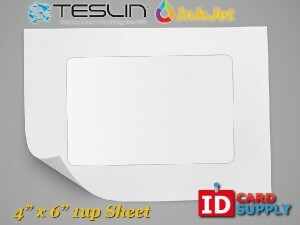 Order Teslin paper today and start printing high quality cards for your company!